Documentary Now! is an American 30 minute scripted comedy television series, which kicked off on August 20, 2015, on IFC and is broadcast every Wednesday at 22:00. The show is currently in its 3th season. 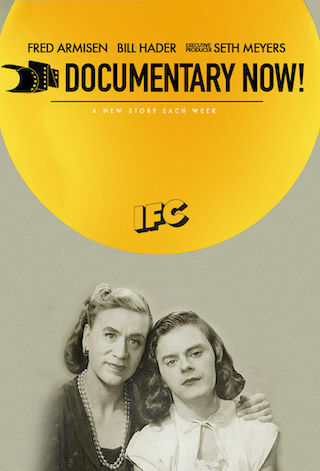 IFC is yet to announce the renewal of Documentary Now! for Season 4 as well as its cancelation. Sign up to track down the show's status and its release date. From the minds of Fred Armisen, Bill Hader and Seth Meyers comes a new series Documentary Now! that looks back on 50 years of excellence and integrity in documentary filmmaking. See Fred and Bill investigate drug cartels, join an indifferent 70s rock band, reenact Iceland's annual Al Capone Festival, take part in a dramatic exposé of the world's first documentary about the Inuit and much more.